Can Coffee Lower Blood Sugar Levels? Is Caffeine Bad for Gout? What Are the Health Benefits of Coffee Beans? What Are the Effects of Coffee on Gout? Coffee not only gets you moving in the morning, but it also provides numerous health benefits, including being rich in antioxidants and reducing the risk for type 2 diabetes. In addition to these benefits, coffee might also have a positive effect on gout, a painful form of arthritis. Gout causes inflammation of the joints in the body. In normal individuals, the body breaks down a group of chemicals called purines into uric acid, which is then excreted into the urine. However, in people with gout, the body doesn’t rid itself of uric acid, resulting in an increase in blood levels of uric acid. The excess uric acid is deposited into joints where it forms urate crystals that lead to pain, swelling and tenderness. Increasing your coffee intake might lead to lower levels of uric acid in the blood. 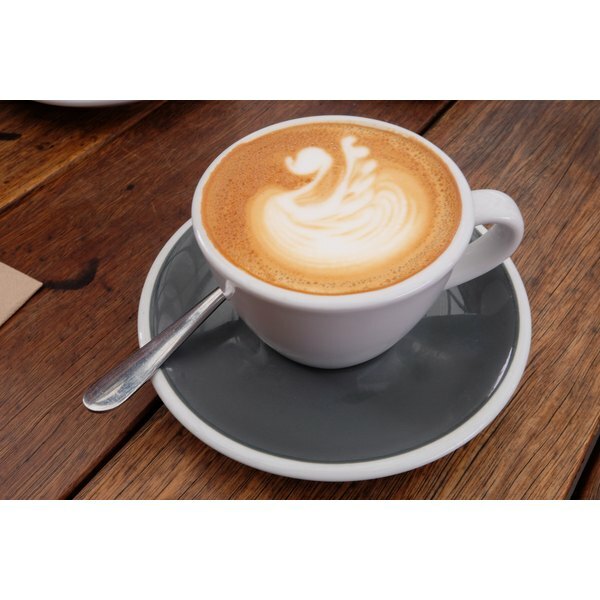 Scientists from the University of British Columbia in Canada studied the relationship between coffee intake and uric acid levels in the blood. They reported in the June 2007 issue of “Arthritis Rheumatism” that men and women consuming four or more cups of coffee per day had lower uric acid levels compared to non-coffee drinkers. Higher insulin levels might contribute to higher uric acid levels in the blood by preventing its excretion in urine. One way coffee helps lower uric acid levels is by reducing insulin secretion in the body, causing less insulin in the blood and greater excretion of uric acid. Researchers from the Harvard School of Public Health discovered that women drinking four or more cups of coffee per day had lower levels of C-peptide, an indicator of insulin secretion, according to research reported in the June 2005 issue of “Diabetes Care.” Decreasing C-peptide levels in the body reduces insulin levels in the blood, which allows uric acid to be excreted in urine. If you plan on drinking four or more cups of coffee per day to reduce gout risk, be aware that this amount of coffee contains a high amount of caffeine. Men more than women experience side effects of heavy caffeine intake, including insomnia, fast heartbeat, muscle tremors and nervousness. If you are experiencing any of these symptoms, reduce your coffee consumption or caffeine from other sources. Brandon Dotson is a graduate of Lehman college with a Bachelor of Science in health education and a minor in marketing. He has been a writer for over five years and plans on pursuing a master's degree in marketing. Can Ice Tea Cause Gout?